The Augustinian Sisters’ archives hold several little treasures, which are quite varied. Here are three examples taken from an album of cards collected by the great-uncle of sister Lise Tanguay, Superior General of the Fédération des monastères des Augustines de la Miséricorde de Jésus. She admitted to us that she quite enjoyed browsing through its pages as a child. This old card is pleasant and practical. 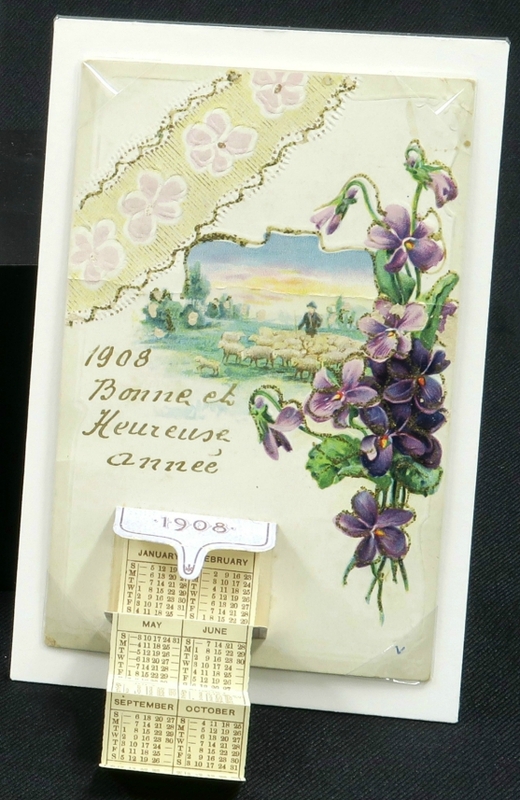 It integrates a tiny calendar of the new year 1908. An English card wishing Merry Christmas. 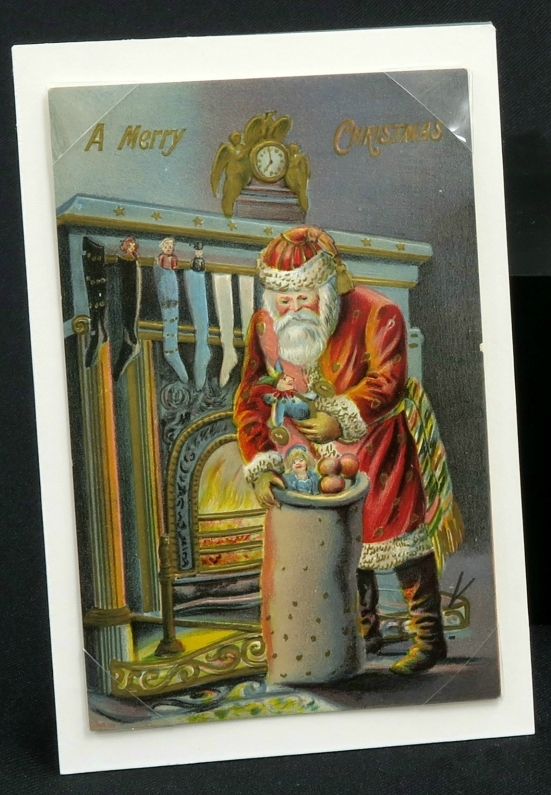 It shows Santa Claus distributing gifts in stockings hanging over a large fireplace. 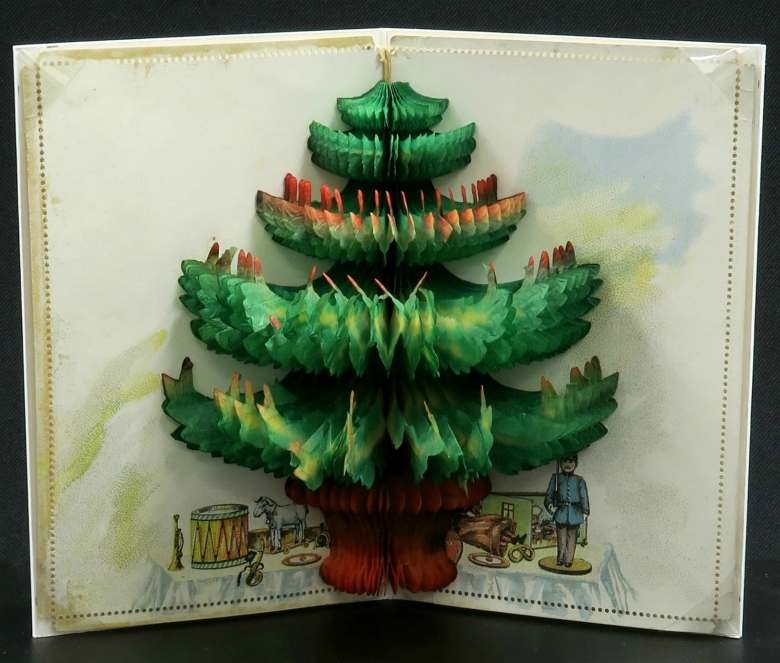 This Christmas card is very original with its three dimensions interior. A fir tree unfolds inside when you open the card.